silver, Medieval, penny, Edward I (AD 1272 to AD 1307), mint: Bristol. Class: 9b (AD 1299 to AD 1300). North p 30, no 1037/1. Flan struck off centre. 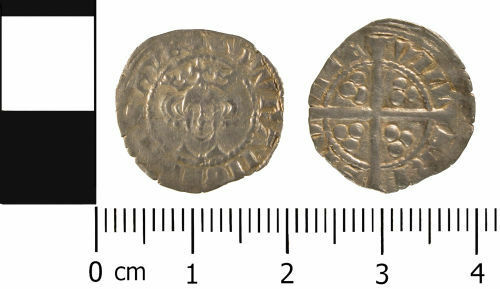 silver, Medieval, penny, Edward I (AD 1272 to AD 1307), class 9b (Ad 1299-1300/1), mint: London, North p 30 1037/1.